Here’s the reply I sent Matt, which at his suggestion I am posting here essentially unedited. Note well that this is not a response to the Bronzati paper, but my own quite separate thoughts on the same issue. I’ve not read the article, but here’s my position on This Kind Of Thing. I remember back when we used to talk about primitive and advanced taxa. Then someone managed to impose their liberal guilt on the world of vertebrate palaeontology and we all had to change to basal and derived instead. That change bought us nothing; and whatever new terminology this paper is proposing will buy us nothing, either. Ultimately terminology is there as an aid for us to talk about things, not as a political tool. “Prosauropod”, “primitive sauropodomorph” and “basal sauropodomorphs” were all perfectly good terms that named the same important group; and each them has been knocked out, one by one, by well-meaning nomenclatural puritans who could have been using their abundant energy and creativity on solving some actual problems instead. So: how d’ya like them apples? Bronzati, Mario, 2017. Should the terms ‘basal taxon’ and ‘transitional taxon’ be extinguished from cladistic studies with extinct organisms? Palaeontologia Electronica 20.2.3E:1-12. Authority and date should be provided for each species-level taxon at first mention. Please ensure that the nominal authority is also included in the reference list. In other words, the first time I mention Diplodocus, I should say “Diplodocus Marsh 1878″; and I should add the corresponding reference to my bibliography. Marsh (1878: plate VIII in part). 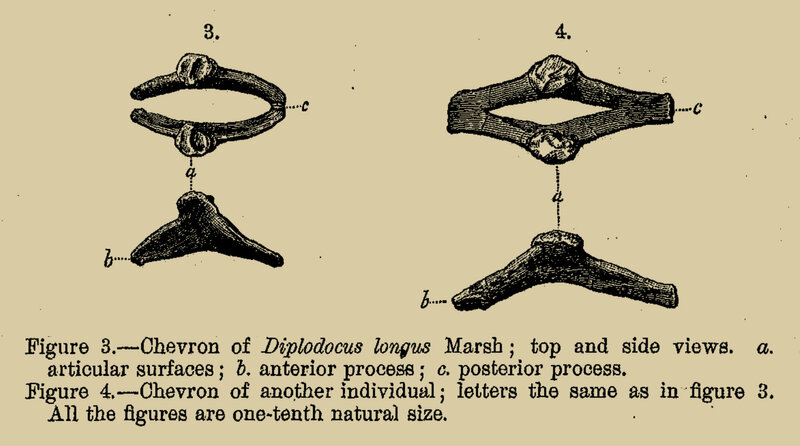 The only illustration of Diplodocus material in the paper that named the genus. I used to do this religiously in my early papers, just because it was the done thing. But then I started to think about it. To my mind, it used to make a certain amount of sense 30 years ago. But surely in 2016, if anyone wants to know about the taxonomic history of Diplodocus, they’re going to go straight to Wikipedia? Idiot things that we we do in our papers out of sheer habit three and a half years ago. Should I just shrug and do this pointless busywork to satisfy the handling editor? Or should I simply refuse to waste my time adding information that will be of no use to anyone? Hatcher, Jonathan B. 1901. Diplodocus (Marsh): its osteology, taxonomy and probable habits, with a restoration of the skeleton. Memoirs of the Carnegie Museum 1:1-63 and plates I-XIII. Marsh, O. C. 1878. Principal characters of American Jurassic dinosaurs, Part I. American Journal of Science, series 3 16:411-416. What is the nature and purpose of a type specimen? The dinosaur community has recently lost sight of the fact that the type concept was never meant to indicate the most well preserved or described specimen/species. I find this unconvincing, on the basis that the ICZN was never designed with dinosaurs in mind in the first place. For the great majority of the species that have been named under its rules, the selection of the obvious holotype has been perfectly adequate, because extant animals — by far the majority — are nearly all represented by complete and well-preserved specimens. Alphina nigrosignata (type specimen; photo courtesy Geert Goemans, Department of Ecology and Evolutionary Biology, The University of Connecticut; specimen loaned from Herbert Zettel from The Museum of Natural History Vienna (NHMV). From University of Delaware, College of Agriculture & Natural Resources. Dinosaurs — which in many cases are represented by eroded and distorted fossils of a tiny part of the animal — are already an aberration from the perspective of the ICZN, and that is why they sometimes need special treatment. What are type specimens for, after all? The Code itself says “The fixation of the name-bearing type of a nominal taxon provides the objective standard of reference for the application of the name it bears” (Article 61.1); and comments that type specimens “are the international standards of reference that provide objectivity in zoological nomenclature” (Article 72.10). That is a role that YPM 1920 is simply not capable of fulfilling — and, more to the point, a role that it is not filling. The Diplodocus carnegii holotype CM 84 is the international standard of reference that provides objectivity in Diplodocus nomenclature. Slavishly following the usual provisions of the Code to retain the fiction that YPM 1920 fulfils this role simply does not reflect reality. Some people occasionally object to the nomination of neotype specimens or replacement type species on the grounds that the Code does not require this. Of course it doesn’t: if it did, there would be no need for petitions. The fact that the Code allows for petitions constitutes explicit recognition that its usual provisions do not always suffice to produce the “sense and stability for animal names” that the Commission’s web-site used to have as its banner before the last redesign. Petitions exist precisely to allow the setting aside of the usual rules when sense and stability is served by doing do. If you keep an eye on the wacky world of zoological nomenclature, you’ll know that earlier this year Emanuel Tschopp and Octávio Mateus published a petition to the International Commission on Zoological Nomemclature, asking them to establish Diplodocus carnegii, represented by the ubiquitous and nearly complete skeleton CM 84, as the type species of Diplodocus. Tschopp and Mateus (2016: fig. 1). 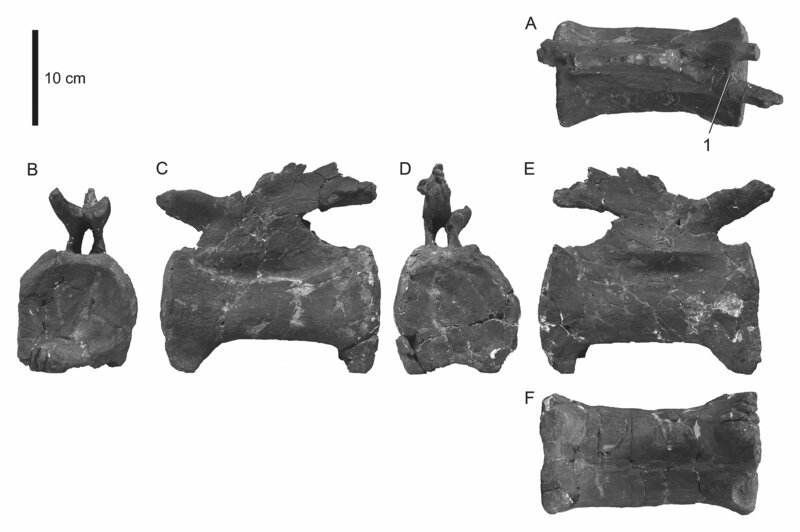 More anterior of the only two reasonably complete caudal vertebrae of the type specimen of Diplodocus longus (YPM 1920) in dorsal (A), anterior (B), left (C), posterior (D), right (E), and ventral (F) views. The neural spine is lost. The estimated position within the caudal column is caudal vertebra 17â24. Note the transverse ridge between the prezygapophyses shared with AMNH 223 (1). In its use as the definitive exemplar of the genus Diplodocus, as the foundation for numerous palaeobiological studies of the genus, and as the specifier for numerous important clades, the species D. carnegii is already effectively functioning as the type species of Diplodocus. Therefore the petition of Tschopp and Mateus (2016) requests only that the commission recognises de jure what is already the case de facto. Marsh, O.C. 1878. Principal characters of American Jurassic dinosaurs, Part I. American Journal of Science (series 3) 16:411–416. Tschopp, Emanuel, and Octávio Mateus. 2016. Case 3700: Diplodocus Marsh, 1878 (Dinosauria, Sauropoda): proposed designation of D. carnegii Hatcher, 1901 as the type species. Bulletin of Zoological Nomenclature 73(1):17-24. Ten years ago today — on 15 September 2005 — my first palaeo paper was published: Taylor and Naish (2005) on the phylogenetic nomenclature of diplodocoids. It’s strange to think how fast the time has gone, but I hope you’ll forgive me if I get a bit self-indulgent and nostalgic. I’d applied to join Portsmouth University on a Masters course back in April 2004 — not because I had any great desire to earn a Masters but because back in the bad old days, being affiliated to a university was about the only way to get hold of copies of academic papers. My research proposal, hilariously, was all about the ways the DinoMorph results are misleading — something that I am still working on eleven years later. In May of that year, I started a Dinosaur Mailing List thread on the names and definitions of the various diplodocoid clades. As that discussion progressed, it became clear that there was a lot of ambiguity, and for my own reference I started to make notes. I got into an off-list email discussion about this with Darren Naish (who was then finishing up his Ph.D at Portsmouth). By June we thought it might be worth making this into a little paper, so that others wouldn’t need to do the same literature trawl we’d done. On the way to SVPCA that year, in Leicester, I met Darren on the train, and together we worked through a printed copy of the in-progress manuscript that I’d brought with me. He was pretty happy with it, which meant a lot to me. It was the first time I’d had a legitimate palaeontologist critique my work. At one of the evening events of that SVPCA, I fell into conversation with micro-vertebrate screening wizard Steve Sweetman, then on the Portsmouth Ph.D course, and he persuaded me to switch to the Ph.D. (It was my second SVPCA, and the first one where I gave a talk.) Hilariously, the heart of the Ph.D project was to be a description of the Archbishop, something that I have still not got done a decade later, but definitely will this year. Definitely. This was my first encounter with “not significant enough for our journal” — a game that I no longer play. It was to be very far from my last experience of Wrong Mike Taylor Syndrome. At this point, Darren and I spent a while discussing what to do: revise and resubmit (though one of the reviewers said not to)? Try to subsume the paper into another more substantial one (as one reviewer suggested)? Invite the reviewers to collaborate with us on an improved version (as the editor suggested)? Or just revise according to the reviewers’ more helpful recommendations and send it elsewhere? I discussed this with Matt as well. The upshot was that on 20th February Darren and I decided to send the revised version to PaleoBios, the journal of the University of California Museum of Paleontology (UCMP) — partly because Matt had had good experiences there with two of his earlier papers. Anyway, we submitted the revised manuscript on 26th May; and we got back an Accept With Minor Revisions six weeks later, having received genuinely useful reviews from Jerry Harris and Matt. (This of course was long before I’d co-authored anything with Matt. No handling editor would assign him to review one of my papers now.) It took us two days to turn the manuscript around with the necessary minor changes made, and another nine days of back and forth with the editor before we reached acceptance. A week later I got the proof PDF to check. Seeing the page proof — evidence that I really had written a legitimate scholarly paper. It looked real. Getting my copy of the final PDF. The tedious but somehow exhilarating process of sending out physical reprints to 30 or 40 people. Getting a physical copy of the relevant issue of the journal — in this case, PaleoBios 25(2). I suppose it’s one of the sadder side-effect of ubiquitous open access that many of these stages don’t happen any more. Now you get your proof, then the paper appears online, and that’s it. Bam, done. I’m kind of glad to have lived through the tail end of the old days, even though the new days are better. To finish, there’s a nice little happy ending for this paper. Despite being in a relatively unregarded journal, it’s turned out to be among my most cited works. According to Google Scholar, this humble little taxonomic note has racked up 28 citations: only two fewer than the Xenoposeidon description. It’s handily outperforming other papers that I’d have considered much more substantial, and which appeared in more recognised journals. It just goes to show, you can never tell what papers will do well in the citation game, and which will sink without trace. Taylor, Michael P. and Darren Naish. 2005. The phylogenetic taxonomy of Diplodocoidea (Dinosauria: Sauropoda). PaleoBios 25(2):1-7. We all remember Upchurch and Martin’s (2002) description of the Rutland Cetiosaurus, which remains by some distance the best British sauropod specimen in the literature; and the same authors’ (2003) survey of the genus Cetiosaurus. 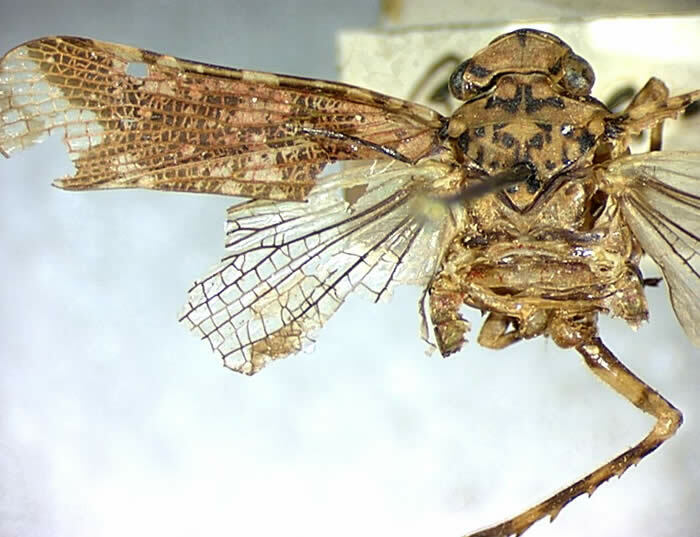 They concluded that nearly all of its many named species are either nomen dubia or misassigned, and that only C. oxoniensis is a valid, diagnosable species. 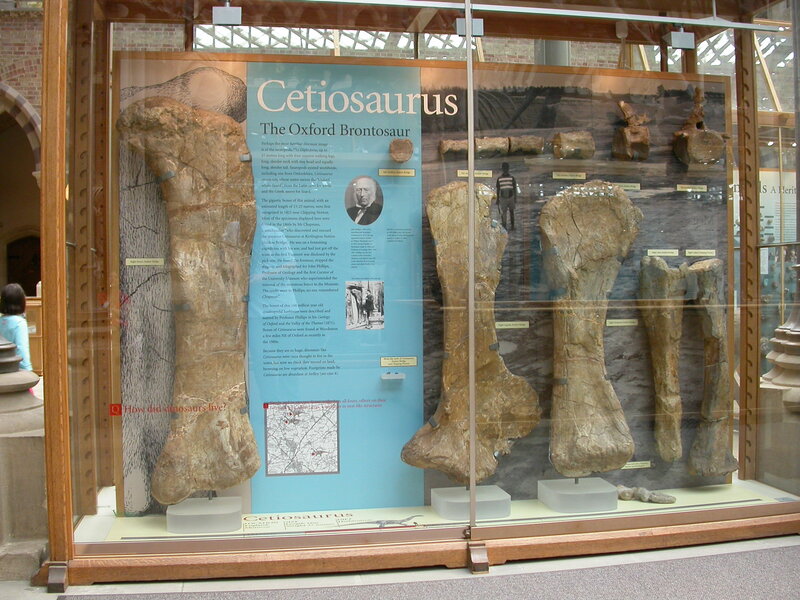 (Some of) the Cetiosaurus oxoniensis holotype material, on display in the public gallery of the Oxford University Museum of Natural History (OUMNH). From left to right: right femur in posterior view, scapula, right humerus in anterior view, tibia and fibula (designations by eyeballing). Above the long bones, some caudal vertebrae. Accordingly, Upchurch and Martin informally used C. oxoniensis as the type specimen in their descriptive work, noting that this usage should be formalised by a petition to the International Commission on Zoological Nomenclature (ICZN). Six years layer, we submitted that petition to the Bulletin of Zoological Nomenclature; a few months after its publication, positive comments from Paul Barrett and Pete Galton followed. The Commission has conserved the usage of the generic name Cetiosaurus Owen, 1841 by designating Cetiosaurus oxoniensis Phillips, 1871 as the type species of Cetiosaurus in place of Cetiosaurus medius Owen, 1842. So Cetiosaurus finally has a decent type species! Two cheers for the Commission! I’d always assumed that ratifying the petition would be a no-brainer once the Commission got around to examining it. In fact, their report makes it clear that’s not how it was at all. 16 members voted for the proposal, eight voted against and two abstained. So I guess we were only three switched votes away from having the proposal rejected. Which would frankly have been stupid: every sauropod worker would just have carried right on using C. oxoniensis as though it were the type species anyway. But all of that seems like pointless pithering to me. Who cares what the type species was? The point of the petition is to establish what it is, and only one Commission member expressed any reservations about the case we’d made — which is basically that C. oxoniensis is what’s always used in comparisons. Anyway, dissenting opinions notwithstanding, the genus Cetiosaurus now stands before us having been made an honest woman at long last. … all of which leaves us with the question of what the Rutland cetiosaur is. It’s been assumed to be Cetiosaurus all along, and that identification has to stand until someone publishes a case to the contrary. But there do seem to be persistent rumours that someone somewhere thinks it’s something different. I wonder if anything will ever come of it? International Commission on Zoological Nomenclature. 2014. OPINION 2331 (Case 3472): Cetiosaurus Owen, 1841 (Dinosauria, Sauropoda): usage conserved by designation of Cetiosaurus oxoniensis Phillips, 1871 as the type species. Bulletin of Zoological Nomenclature 71(1):48-50. Upchurch, Paul and John Martin. 2002. The Rutland Cetiosaurus: The Anatomy and Relationships of a Middle Jurassic British Sauropod Dinosaur. Palaeontology 45(6):1049-1074. Upchurch, Paul, and John Martin. 2003. The anatomy and taxonomy of Cetiosaurus (Saurischia, Sauropoda) from the Middle Jurassic of England. Journal of Vertebrate Paleontology 23:208-231. Upchurch, Paul, John Martin, and Michael P. Taylor. 2009. Case 3472: Cetiosaurus Owen, 1841 (Dinosauria, Sauropoda): proposed conservation of usage by designation of Cetiosaurus oxoniensis Phillips, 1871 as the type species. Bulletin of Zoological Nomenclature 66(1):51-55. Readers with long memories might recall that, nearly two years ago, we published annotated skeletal reconstructions of Camarasaurus and of Tyrannosaurus, with all the bones labelled. At the time, I said that I’d like to do an ornithischian, too.